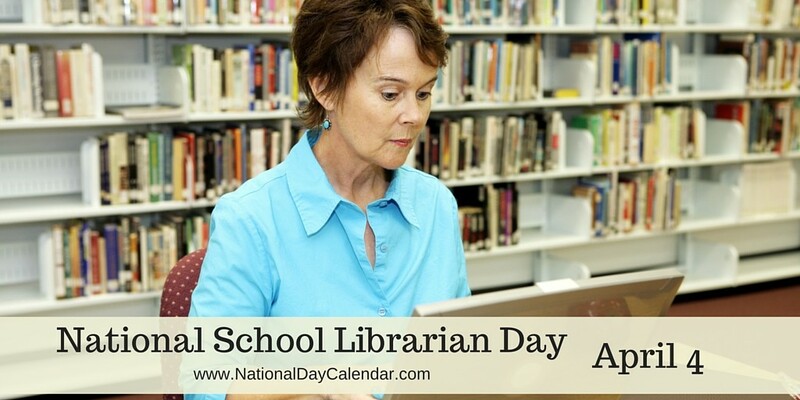 April 4 ~ National School Librarian Day! I spent many years helping the school librarian in my son’s elementary school. April 4th is National School Librarian Day. It is set aside to honor all school librarians. School librarians spend long hours keeping the library organized, helping our children find the resources they need to keep learning and are dedicated to creating an environment they can learn in every day of the year. All of this hard work often goes unappreciated. The school librarians aid our youth in many ways, and their patience sets an example for our children on a daily basis.